I really love a good cocktail and an occasional glass of fine wine but have never really been a beer drinker. I think it likely stems from too many college frat parties with kegs of cheap bear being spilled everywhere. So I've ignored the rise of all the new craft beers with artisan flavors and continued ordering cocktails. All except one cocktail, actually, which is the Moscow Mule. Why? It contains beer. Yes it's ginger beer but I was sure I would hate it. I can get stubborn like that sometimes. But I was attending the Fancy Food Show in New York last month and there were many new cocktail mixers being shown. Some were non-alcoholic like flavored tonic waters or flavored club sodas. But among some of the ones I tried and liked was a ginger beer. And I tried it. And I liked it. Sigh. I'm probably going to have to revisit all these interesting new beer flavors now and put the memory of stale college keg beer out of my mind. But the biggest advantage of liking the ginger beer is that I could add a Moscow mule to my cocktail list! It's a simple drink with vodka, lime and the ginger beer but I like to customize things to my own taste. I found that it was a bit too strong so I sweetened it a tad with some simple syrup. I usually keep a batch of it in my fridge because it's great both for cocktails and iced tea. And I also found the ginger flavor very powerful so I cooled mine off by muddling in some mint. It's got a kick but it's a tasty one. Cheers! To make the simple syrup, add the sugar and water (any amounts you like as long as they're equal) to a pot and bring to a low simmer. Stir until the sugar dissolves and then remove from the heat. Allow to cool and pour into a bottle with a cap or cork and store in the refrigerator for up to two weeks. 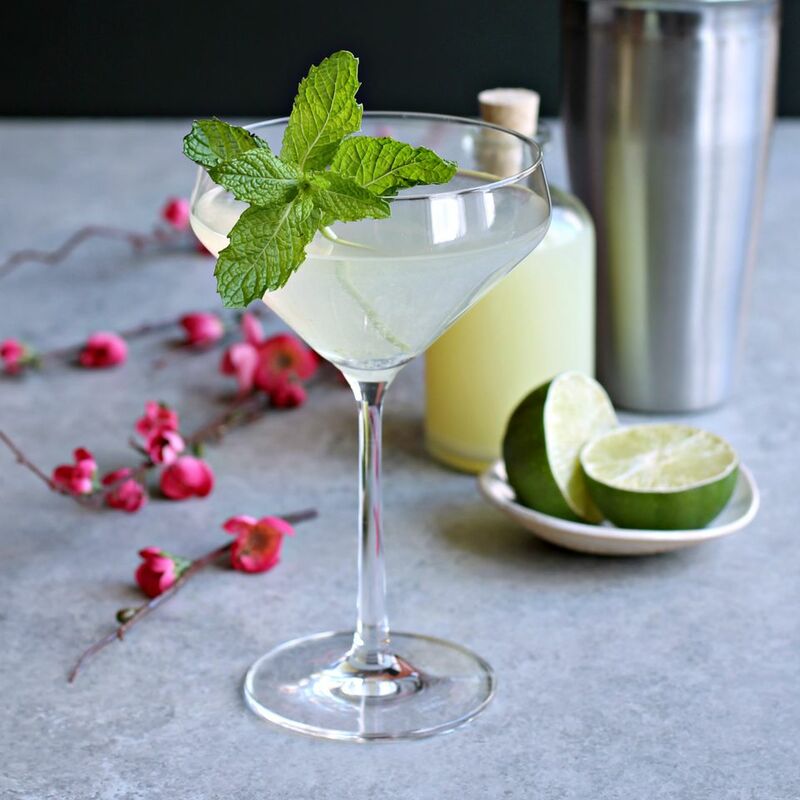 Add the vodka, lime juice, simple syrup and one sprig of the mint to a cocktail shaker. Muddle the mint using a cocktail muddler or the back of a wooden spoon. Fill with ice, shake well and pour into a chilled cocktail glass. Top with the ginger beer or ginger ale and garnish with the remaining sprig of mint.